Wecome to the Ashippun Lions Club Information Site! New members welcome - join us in community service! 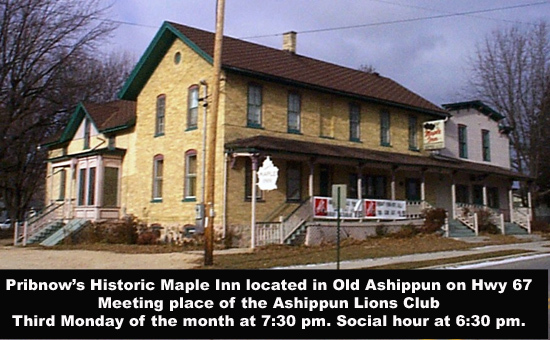 Anyone interested in joining the Ashippun Lions Club should contact a club member or stop in at the Maple Inn on the third Monday of the month at 7:00 pm.